This oil consists of the fresh green coconut along with multivitamins which guard your hair against dryness and split ends. It is lightweight oil which makes hair shiny and soft. 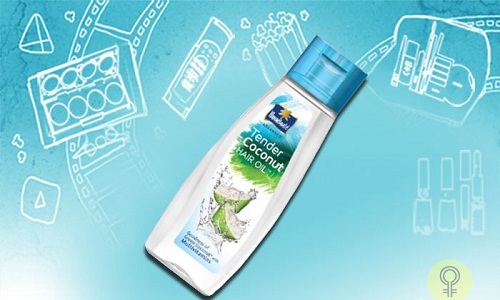 The Price of Parachute Tender Coconut Hair Oil in India: Rs. 120 for 300 ml. This hair oil consists of natural herbal constituents. It does not include any type of chemicals or paraben. 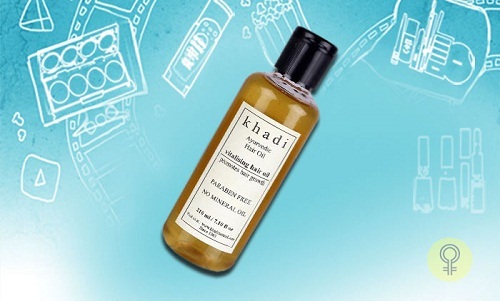 The Price of Khadi Ayurvedic Vitalising Hair Oil in India: Rs. 350 for 210 ml. This hair oil comprises of the natural almonds and Vitamin E which perfectly nurtures your hair. 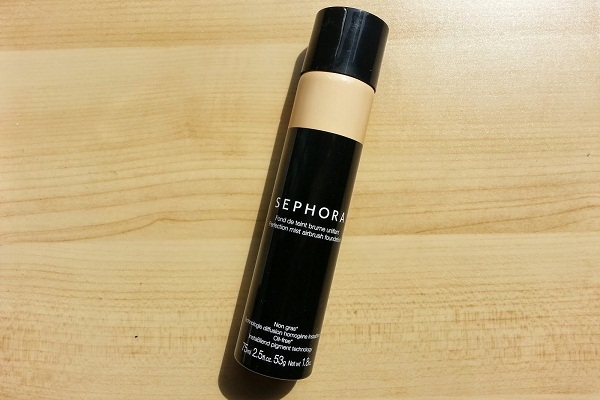 Since it is a hydrating product, it will not give you a greasy feel at all. 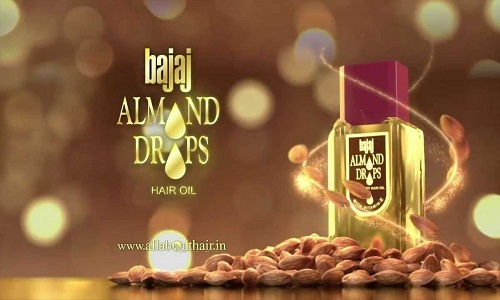 The Price of Bajaj Almond Drops Hair Oil in India: Rs. 100 for 200 ml. This hair oil is one more reasonable product to buy. This is also lightweight hair oil which comprises of hibiscus, almonds, musk root and olives. It offers you the nurtured and beautiful hair. 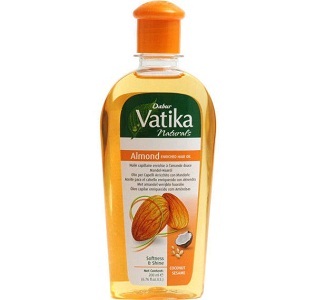 The Price of Vatika Enriched Almond Hair Oil in India: Rs 70 for 200 ml. This hair oil is specially manufactured for the frizzy,dry, and damaged hair. Due to the presence of non-greasiness, this hair oil makes the hair softer. 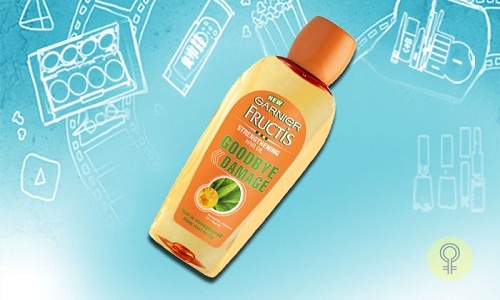 Garnier Fructis Goodbye Damage Hair Oil also saves the hair from any kind of damage if used regularly. The Price of Garnier Fructis Goodbye Damage Hair Oil in India: Rs. 75 for 100 ml. This lightweight non-greasy hair oil is impeccable for hydrating of hair without any kind of greasiness. 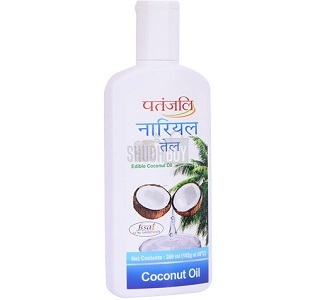 Patanjali Coconut Hair Oil is a reasonable option. This hair oil is light-weight, 100% natural, grease-free and non-sticky. 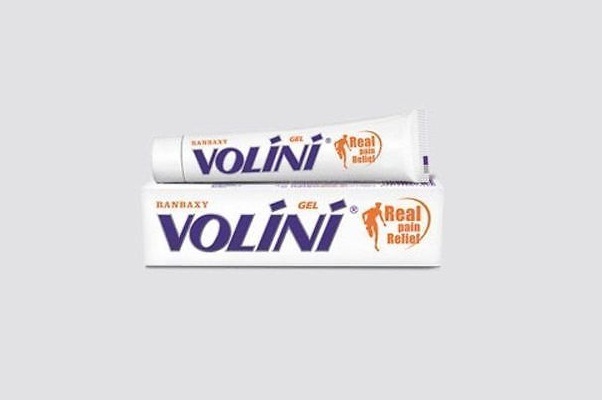 It can also be used as a serum for the rough and dry hair. The Price of Patanjali Coconut Hair Oil in India: Rs. 48 for 200 ml. The non-greasy hair oil originates with a mixture of natural oils that well-nourished your hair. It contains the vitamin E as well as olive oil which stops the oxidative harm and nurtures your hairs softly. It can also be used as a hair serum that helps in controlling the frizz. 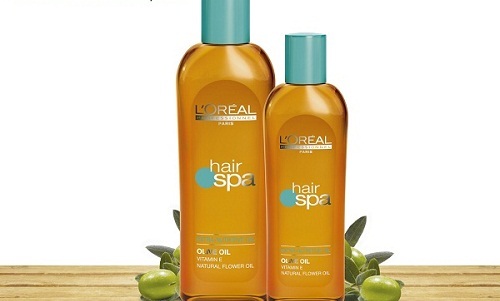 The Price of L’oreal Professional Hair Spa Oil in India: Rs. 250 for 100 ml. 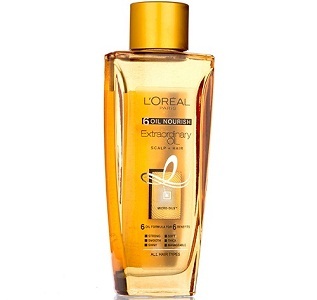 The next name in the list is of Loreal Paris 6 Nourish Extraordinary Oil. This oil offers an oil-free appearance to the hair as it comprises of the nutrition of coconut oil, almond oil, jojoba oil, argan oil, olive oil and camelina oil. You can also utilize it like a serum. If you apply 2 – 3 drops of this hair oil it will instantly fix the dryness or frizziness of your hair. 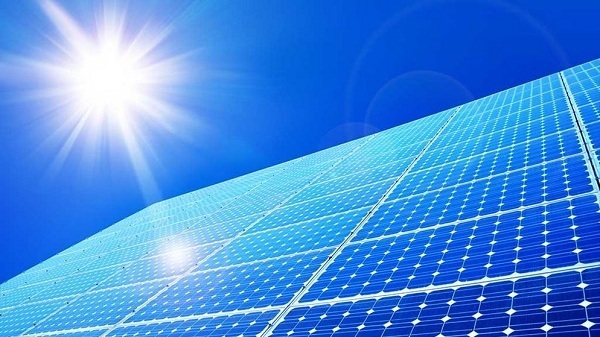 The Price of Loreal Paris 6 Oil Nourish Extraordinary Oil in India: Rs. 193 for 100 ml. If you get fed up from the similar old-style smell of the coconut oils for hair, then you must go for this Parachute Advanced Jasmine hair oil for sure. This oil is lightweight as well as non-greasy. It is perfect for the summers and also for the people who have oily scalps. It softens and hydrates your hair perfectly. 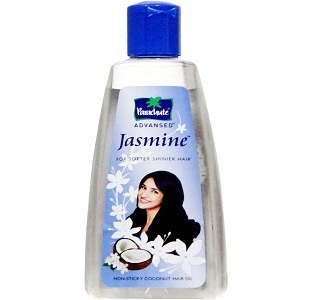 The Price of Parachute Advanced Jasmine Hair Oil in India: Rs. 71 for 200 ml. 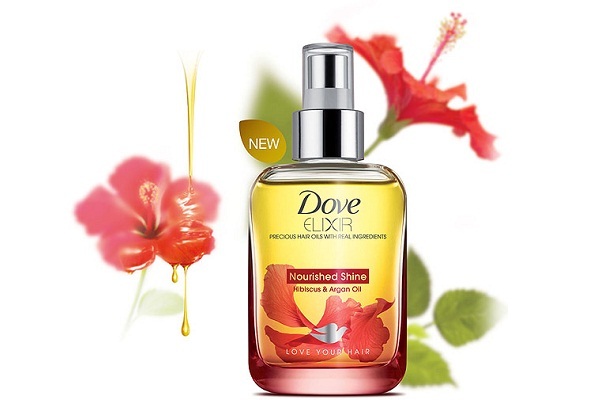 The top name in the list is of Dove Elixir Hair Oil which is obtainable in three options, i.e. Dryness Control, Dove Nourished Shine, and Hair Fall Solution. These hair oils are very lightweight to apply on to the hair. It basically hydrates the hair without resulting in heavy, sticky or oily. This non-greasy hair oil also functions perfectly like a finishing serum which controls the curl and dryness.